Check Best Price on AmazonThis is InStyler Wet To Dry Rotating Iron review. 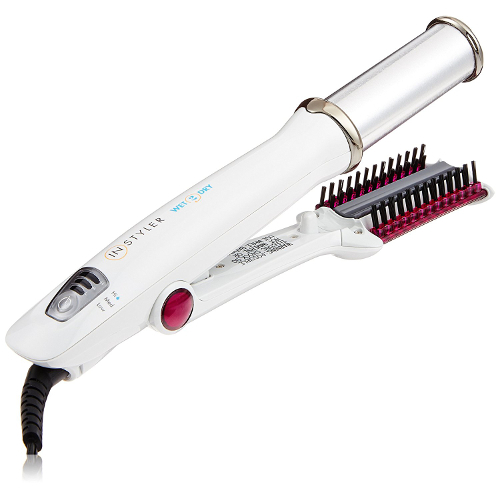 We will talk about key features, pros and cons one of the best flat iron in the market. Do you have a busy lifestyle? 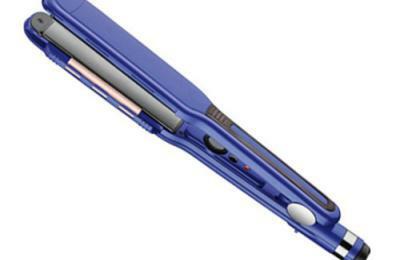 Do you need a device that can both dry and curl your hair at the same time? The Instyler Wet to Dry is just the perfect device which provides you with a quick solution to hairstyling. 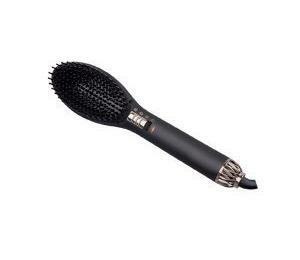 This device gives you that amazing blowout look without the need for blow-drying, and with less risk of damage. The Instyler has a dual functionality that helps you save more time from your usual styling time. What does this mean? It means using this rotating iron requires less time than other tradition methods. You will be on time to catch that flight, attend that big event or go to work. The Instyler Wet-to-Dry is a perfect styling device that can easily be carried on trips. It helps you cut down on carrying around a curling iron, blow dryer and all the brushes associated in styling your hair. Multiple heat settings – you can effectively use the Instyler on fine, medium and thick hairs. The temperature ranges from 285 up to 410 degrees Fahrenheit. The Instyler has a built-in Heated Rotating Barrel that allows it to disperse heat evenly. This does not only protect the hair from damage but also gives it a shiny and smooth finish. It has an impressive heat-up time of 30 seconds. When the Instyler Wet-to-Dry is not being used, it shuts off automatically. Air-intake Vents – as the barrel whisks water from the hair, the air vents absorbs cool air which safely gets rid of water from your hair. The Instyler features a tourmaline ceramic floating plate main purpose is to reduce frizz without creasing or crushing the hair. It does this by working with the rotating barrel. Mobility – the Instyler has a six-inch Swivel Cord which gives you the ability to move around while you style your hair. The first step is to dry your hair with a towel, make sure your remove as much water as possible. Slowly glide the Instyler down your hair. Once to dry and the other to style. Don’t use the Instyler in a hurry, you can only get good results when you glide it slowly through your hair. Don’t be alarmed when it makes a crackle. The crackling sound means the moisture is evaporating properly from the barrel and not in your hair. 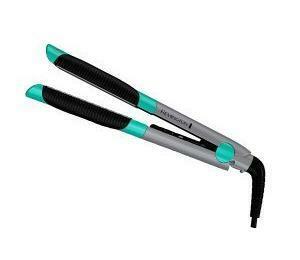 The Instyler Wet-to-Dry is one of the best hair straighteners. You can use it on the toughest and most coarse hair and still get the fullness and style you desire. The barrel side of the Instyler should be positioned in such a way that it is resting next to your scalp. Starting at the roots, close the InStyler onto a 1 to 3-inch section of hair, then slowly glide down to the ends of your hair. Again, make sure you do this slowly to get the desired result. The first step towards curling your hair with the Instyler is to carefully wrap your hair around the barrel. Then close the Instyler and make rotating motions with your wrist to ensure the ends of your hair are included. Next, do this rotating movement for five to ten seconds. Finally, open the unit and allow the hair fall from the barrel. You may want to give your hair an extra lift at the roots. Well, you can easily do this with the Instyler Wet-to-Dry Rotating Iron. Close the Instyler around a section of your hair as close to the roots as possible. Next, allow the barrel rotate at the roots for three to five seconds before slowly gliding down through the ends of your hair. For addition volume, just rotate the barrel in the opposite direction. The large has a 1¼ inches barrel size and is available in purple and pink colors. 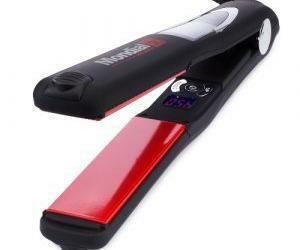 It not only dries your hair as it styles, but also straightens and polishes your hair as well. This option is capable of creating incredible volume, and loose curls and waves. On the other hand, the second option – the small barrel is ¾ inches in size. It is also available in pink and purple colors. It can also dry as it styles. This option is great for shorter hair. It has the ability to create tighter curls and bangs, as well as styling closer to the roots. First of all, the pros and cons of a product are largely dependent on individual users. It is on this note that we took into account the different reviews of people that have used the Instyler. One of the greatest pros of the Instyler is that it adds good volume to the hair. It also won’t damage your hair. People that have thicker hair have complained that the product cannot dry in just one pass. The curling feature works best on nearly dry or dry hair. The bottom line is, the Instyler is not the best tool to use when your hair is just leaving the shower. It works well on lightly damp or dry hair. One thing that everybody agrees on is the fast heat up time. Some reviewers complained that it is very hot and it is easy to burn yourself if you do not apply care when using it.